Varèse's music emphasizes timbre and rhythm. He coined the term "organized sound" in reference to his own musical aesthetic. Varèse's conception of music reflected his vision of "sound as living matter" and of "musical space as open rather than bounded". He conceived the elements of his music in terms of "sound-masses", likening their organization to the natural phenomenon of crystallization. Varèse thought that "to stubbornly conditioned ears, anything new in music has always been called noise", and he posed the question, "what is music but organized noises?" Although his complete surviving works only last about three hours, he has been recognised as an influence by several major composers of the late 20th century. Varèse saw potential in using electronic media for sound production, and his use of new instruments and electronic resources led to his being known as the "Father of Electronic Music" while Henry Miller described him as "The stratospheric Colossus of Sound". Varèse actively promoted performances of works by other 20th-century composers and founded the International Composers' Guild in 1921 and the Pan-American Association of Composers in 1926. Edgard Victor Achille Charles Varèse was born in Paris; when he was a few weeks old, he was sent to be raised by his maternal great-uncle and other relations in the small town of Le Villars in the Burgundy region of France. There he developed a very strong attachment to his maternal grandfather, Claude Cortot (also grandfather to the pianist Alfred Cortot, a first cousin of Varèse). His affection for his grandfather outshone anything he felt for his own parents. After being reclaimed by his parents in the late 1880s, in 1893 young Edgard was forced to relocate with them to Turin, Italy, in part, to live amongst his paternal relatives, since his father was of Italian descent. It was here that he had his first real musical lessons, with the long-time director of Turin's conservatory, Giovanni Bolzoni. In 1895, he composed his first opera, Martin Pas, which has since been lost. Now in his teen years, Varèse, influenced by his father, an engineer, enrolled at the Polytechnic of Turin and started studying engineering, as his father disapproved of his interest in music and demanded an absolute dedication to engineering studies. This conflict grew greater and greater, especially after the death of his mother in 1900, until in 1903 Varèse left home for Paris. In 1904, he commenced his studies at the Schola Cantorum (founded by pupils of César Franck), where his teachers included Albert Roussel. Afterwards, he went to study composition with Charles-Marie Widor at the Paris Conservatoire. In this period, he composed a number of ambitious orchestral works, but these were only performed by Varèse in piano transcriptions. One such work was his Rhapsodie romane, from about 1905, which was inspired by the Romanesque architecture of the cathedral of St. Philibert in Tournus. In 1907, he moved to Berlin, and in the same year, he married the actress Suzanne Bing, with whom he had one child, a daughter. They divorced in 1913. During these years, Varèse became acquainted with Erik Satie and Richard Strauss, as well as with Claude Debussy and Ferruccio Busoni, who particularly influenced him at the time. He also gained the friendship and support of Romain Rolland and Hugo von Hofmannsthal, whose Œdipus und die Sphinx he began setting as an opera that was never completed. On 5 January 1911, the first performance of his symphonic poem Bourgogne was held in Berlin. He spent the first few years in the United States, where he was a Romany Marie's café regular in Greenwich Village, meeting important contributors to American music, promoting his vision of new electronic art music instruments, conducting orchestras, and founding the short-lived New Symphony Orchestra. 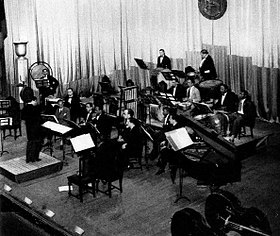 In New York, he met Léon Theremin and other composers exploring the boundaries of electronic music. At the completion of this work, Varèse, along with Carlos Salzedo, founded the International Composers' Guild, dedicated to the performances of new compositions of both American and European composers. The ICG's manifesto in July 1921 included the statement, "[t]he present day composers refuse to die. They have realised the necessity of banding together and fighting for the right of each individual to secure a fair and free presentation of his work." In 1922, Varèse visited Berlin where he founded a similar German organisation with Busoni. Varèse contributed a poem to the Dadaist magazine 391 after an evening of drinking with Francis Picabia on the Brooklyn Bridge. The same magazine claimed that he was orchestrating a "Cold Faucet Dance". Later that year, he met Louise McCutcheon (then Norton), who edited another Dadaist magazine, Rogue, with her then-husband. She was to become Louise Varèse and a celebrated translator of French poetry whose versions of the work of Arthur Rimbaud for James Laughlin's New Directions imprint were particularly influential. Varèse composed many of his pieces for orchestral instruments and voices for performance under the auspices of the ICG during its six-year existence. Specifically, during the first half of the 1920s, he composed Offrandes, Hyperprism, Octandre, and Intégrales. He took American citizenship in October 1927. After arriving in the USA Varèse commonly used the form 'Edgar' for his first name but reverted to 'Edgard', not entirely consistently, from the 1940s. In 1928, Varèse returned to Paris to alter one of the parts in Amériques to include the recently constructed ondes Martenot. Around 1930, he composed Ionisation, the first Classical work to feature solely percussion instruments. Although it was composed with pre-existing instruments, Ionisation was an exploration of new sounds and methods to create them. Varèse soon left New York City for Santa Fe, San Francisco and Los Angeles. In 1936, he wrote his solo flute piece, Density 21.5. He also promoted the theremin in his Western travels, and demonstrated one at a lecture at the University of New Mexico in Albuquerque on November 12, 1936. (The University has an RCA theremin in its archives which may be the same instrument.) By the time Varèse returned to New York in late 1938, Theremin had returned to Russia. This devastated Varèse, who had hoped to work with him on a refinement of his instrument. When I was about twenty, I came across a definition of music that seemed suddenly to throw light on my gropings toward music I sensed could exist. Józef Maria Hoene-Wroński, the Polish physicist, chemist, musicologist and philosopher of the first half of the nineteenth century, defined music as 'the corporealization of the intelligence that is in sounds.' It was a new and exciting conception and to me the first that started me thinking of music as spatial—as moving bodies of sound in space, a conception I gradually made my own." Varèse began his music studies with Vincent d'Indy (conducting) at the Schola Cantorum de Paris from 1903–05. While he was in Paris, Varèse had another pivotal experience during a performance of Beethoven's Seventh Symphony at the Salle Pleyel. As the story goes, during the scherzo movement, perhaps due to the resonance of the hall, Varèse had the experience of the music breaking up and projecting in space. It was an idea that stayed with him for the rest of his life, that he would later describe as consisting of "sound objects, floating in space." From the late 1920s to the end of the 1930s, Varèse's principal creative energies went into two ambitious projects which were never realized, and much of whose material was destroyed, though some elements from them seem to have gone into smaller works. One was a large-scale stage work called by different names at different times, but principally The One-All-Alone or Astronomer (L'Astronome). This was originally to be based on North American Indian legends; later it became a futuristic drama of world catastrophe and instantaneous communication with the star Sirius. This second form, on which Varèse worked in Paris in 1928–1932, had a libretto by Alejo Carpentier, Georges Ribemont-Dessaignes and Robert Desnos. According to Carpentier, a substantial amount of this work was written but Varèse abandoned it in favour of a new treatment in which he hoped to collaborate with Antonin Artaud. Artaud's libretto Il n'y a plus de firmament was written for Varèse's project and sent to him after he had returned to the U.S., but by this time Varèse had turned to a second huge project. This second project was to be a choral symphony entitled Espace. In its original conception, the text for the chorus was to be written by André Malraux. Later, Varèse settled on a multi-lingual text of hieratic phrases to be sung by choirs situated in Paris, Moscow, Beijing and New York City, synchronized to create a global radiophonic event. Varèse sought input on the text from Henry Miller, who suggests in The Air-Conditioned Nightmare that this grandiose conception—also ultimately unrealized—eventually metamorphosed into Déserts. With both these huge projects Varèse felt ultimately frustrated by the lack of electronic instruments to realize his aural visions. Nevertheless, he used some of the material from Espace in his short Étude pour espace, virtually the only work that had appeared from his pen for over ten years when it was premiered in 1947. According to Chou Wen-chung, Varèse made various contradictory revisions to Étude pour espace which made it impossible to perform again, but the 2009 Holland Festival, which offered a 'complete works' of Varèse over the weekend of 12–14 June 2009, persuaded Chou to make a new performing version (using similar brass and woodwind forces to Déserts and making use of spatialized sound projection). This was premiered at the Gashouder concert hall, Westergasfabriek, Amsterdam by Asko/Schönberg Ensemble and Cappella Amsterdam on Sunday 14 June, conducted by Péter Eötvös. In his formative years, Varèse was greatly impressed by Medieval and Renaissance music – in his career, he founded and conducted several choirs devoted to this repertoire – as well as the music of Alexander Scriabin, Erik Satie, Claude Debussy, Hector Berlioz and Richard Strauss. There are also clear influences or reminiscences of Stravinsky's early works, specifically Petrushka and The Rite of Spring, on Arcana. He was also impressed by the ideas of Busoni, who christened him L'illustro futuro. Varèse taught many prominent composers including Chou Wen-chung, Lucia Dlugoszewski, André Jolivet, Colin McPhee, James Tenney, and William Grant Still. 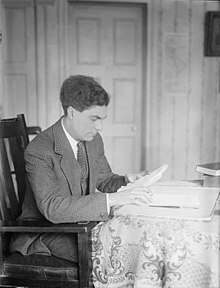 See: List of music students by teacher: T to Z#Edgard Varèse. Composers who have claimed, or can be demonstrated, to have been influenced by Varèse include Milton Babbitt, Harrison Birtwistle, Pierre Boulez, John Cage, Morton Feldman, Brian Ferneyhough, Roberto Gerhard, Olivier Messiaen, Luigi Nono, John Palmer, Krzysztof Penderecki, Silvestre Revueltas, Wolfgang Rihm, Leon Schidlowsky, Alfred Schnittke, William Grant Still, Karlheinz Stockhausen, Iannis Xenakis, Frank Zappa and John Zorn. Varèse's emphasis on timbre, rhythm, and new technologies inspired a generation of musicians who came of age during the 1960s and 1970s. One of Varèse's greatest fans was the American guitarist and composer Frank Zappa, who, upon hearing a copy of The Complete Works of Edgard Varèse, Vol. 1 became obsessed with the composer's music. The first album Zappa heard was released on LP by EMS Recordings in 1950, and included Intégrales, Density 21.5, Ionisation, and Octandre. On Zappa's 15th birthday, December 21, 1955, his mother allowed him an expensive long-distance call to Varèse's home in New York City. At the time Varèse was away in Brussels, Belgium, so Zappa spoke to Varèse's wife Louise instead. Eventually Zappa and Varèse spoke on the phone, and they discussed the possibility of meeting each other. Although this meeting never took place, Zappa received a letter from Varèse. Zappa framed this letter and kept it in his studio for the rest of his life. Varèse's spirit of experimentation with which he redefined the bounds of what was possible in music lived on in Zappa's long and prolific career. Zappa's final project was The Rage and the Fury, a recording of the works of Varèse. In the liner notes of his early albums, he often subtly misquoted the ICG manifesto, "The present day composer refuses to die." The jazz-rock band Chicago recorded the track "A Hit By Varèse" on their album Chicago V (1972). Composer John Zorn has released six CDs dedicated to Varèse and Antonin Artaud: Moonchild, Astronome, Six Litanies for Heliogabalus, The Crucible, Ipsissimus and Templars: In Sacred Blood. Some of Edgard Varèse's works, particularly Arcana make use of the idée fixe, a fixed theme, repeated certain times in a work. The idée fixe was most famously used by Hector Berlioz in his Symphonie fantastique; it is generally not transposed, differentiating it from the leitmotiv, used by Richard Wagner. ^ a b Malcolm MacDonald, Varèse, Astronomer in Sound (London, 2003), ISBN 1-871082-79-X p. xi. ^ Goldman, Richard Franko. 1961. "Varèse: Ionisation; Density 21.5; Intégrales; Octandre; Hyperprism; Poème Electronique. Instrumentalists, cond. Robert Craft. Columbia MS 6146 (stereo)" (in Reviews of Records). Musical Quarterly 47, no. 1. (January):133–34. ^ Chou Wen-chung. 1966a. "Open Rather Than Bounded" Archived 2016-08-14 at the Wayback Machine. Perspectives of New Music 5, no. 1 (Autumn–Winter): 1–6. ^ Chou Wen-chung. 1966b. "Varèse: A Sketch of the Man and His Music" Archived 2016-08-15 at the Wayback Machine. The Musical Quarterly 52, no. 2 (April): 151–170. ^ Varèse, Edgard, and Chou Wen-chung. 1966. "The Liberation of Sound" Archived 2016-08-15 at the Wayback Machine. Perspectives of New Music 5, no. 1 (Autumn–Winter): 11–19. ^ "Edgard Varese | American composer". Encyclopædia Britannica. Archived from the original on 2016-11-16. Retrieved 2016-11-16. ^ Varèse, Edgard; Jolivet, André (2002). Jolivet-Erlih, Christine (ed.). Correspondance 1931–1965 (in French). Contrechamps. p. 110. Retrieved 5 May 2013. ^ "Opera Composers: V". opera.stanford.edu. Archived from the original on 20 October 2017. Retrieved 1 May 2018. ^ a b "The Music of Edgar Varese – Historical Perspective". stevengrimo.com. Archived from the original on 5 March 2016. Retrieved 1 May 2018. ^ Ouellette 1973, p. 48-49. ^ Robert Schulman. Romany Marie: The Queen of Greenwich Village (pp. 64–65). Louisville: Butler Books, 2006. ISBN 1-884532-74-8. ^ Ouellette 1973, p. 66. ^ Ouellette 1973, p. 50. ^ Ouellette 1973, p. 71. ^ Ouellette 1973, p. 51. ^ Ouellette 1973, p. 95. ^ Robert Morse Crunden (2000). Body & Soul: The Making of American Modernism, p. 42–3. ISBN 978-0-465-01484-2. ^ a b Darrell, R. D. (1936). The Gramophone Shop Encyclopedia. New York City: The Gramophone Shop, Inc. p. 484. ^ Clough, Francis; Cuming, G. J. (1952). The World's Encyclopaedia of Recorded Music. London: Sidgwick & Jackson Ltd. p. 634. ^ a b Hall, David (1984). "New Music Quarterly Recordings – A Discography". ARSC Journal. 16 (1–2): 10–27. ^ Griffiths, Paul (1979). A Guide to Electronic Music. Thames & Hudson. p. 10. ISBN 0-500-27203-4. ^ Ouellette 1973, p. 166. ^ Media, American Public. "American Mavericks: An interview with Milton Babbitt". musicmavericks.publicradio.org. Archived from the original on 21 June 2017. Retrieved 1 May 2018. ^ "Edgard Varèse, Complete Works Of Edgard Varèse, Volume 1". Discogs. Archived from the original on 27 January 2016. Retrieved 8 January 2016. ^ Varèse 1966, p. 16. ^ Varèse 1966, p. 17. Bernard, Jonathan W. (1987). The Music of Edgard Varèse. New Haven: Yale University Press. ISBN 0-300-03515-2. Charbonnier, Georges (2007). 8 entretiens avec Edgar Varèse par Georges Charbonnier (1954–55) (MP3) (in French). INA Mémoire vive. ASIN B001KMZ42G. Also available as 2 CDs with Déserts by Edgar Varèse, Orchestre National de France, Hermann Scherchen conductor, ASIN B001KMZ3ZO. Ouellette, Fernand (1973). Edgard Varèse. A Musical Biography. London: Calder and Boyars. ISBN 0714502081. Varèse, Edgard (1966). "The Liberation of Sound". Perspectives of New Music. 5 (1 (Autumn–Winter)): 11–19. doi:10.2307/832385. . (Excerpts from lectures by Varèse, compiled and edited with footnotes by Chou Wen-chung.) Partly reprinted in Varèse, Edgard (2004). "The Liberation of Sound". In Cox, Christoph; Warner, Daniel (eds.). Audio Culture: Readings in Modern Music. Excerpts from lectures (1936–1962), compiled and annotated by Chou Wen-chung. New York: The Continuum International Publishing. pp. 17–21. ISBN 0826416152. Retrieved 2014-01-20. .
Zappa, Frank (1971). "Edgard Varese: The Idol of My Youth". Stereo Review. 1971 (June): 61–62. Retrieved 2014-01-20. "Varese, Ultra-Modernist Composer, Prophesies Symphonies in 'Space'". The Lewiston Daily Sun. December 8, 1936. Bodian, Alan. "Varese of Sullivan Street – A Composer with a Future". The Village Voice. October 10, 1956. "Library Honors Edgar Varese". The Village Voice. December 4, 1957. MacDonald, Malcolm (2002). Varèse: Astronomer in Sound. London: Kahn & Averill. ISBN 1-871-08279-X. Wikimedia Commons has media related to Edgar Varèse. "Edgard Varèse biography" (in French). IRCAM.